My wife asked me if we’re ever going to buy a game console. In my worst French I mumble, “Oui“. “We’re getting a Wii!? !” she cries, ” Woo-hoo!” I cannot Undo my misunderstood utterance. The good news is that Nintendo recently lowered the price of its popular gaming unit. The bad news is that the unit represents only a fraction of the total price. Once you’re done adding accessories (such as the Wii fitness board, extra controllers, other games, extended warranties and taxes, you end up with a purchase price approaching that of a small car. But, oh boy, is it worth it. A brief disclaimer – neither I, nor any of my relatives, friends, or enemies work for Nintendo. However, I sure wish I did. A huge factor in the Wii’s success is its simplicity. The remote only has a few buttons. The games, aimed mostly at families and non-power users, are generally simple to learn and play. That is, the user does not have to struggle with the hardware or software to learn it. Every professional communicator (including us technical ones) can learn from this. Readers should never have to struggle to find the information they’re looking for, or understand the information you give them. It should be as clear as glass. Beyond documentation, technical communicators have a critical role to play in product design. I’m fortunate to work for a company that actively solicits feedback from its employees, and have given numerous suggestions for enhancements to the user interface. No formal training is required for common sense suggestions, such as the fact that every field should have a name, and that the name should be clear and self-descriptive. 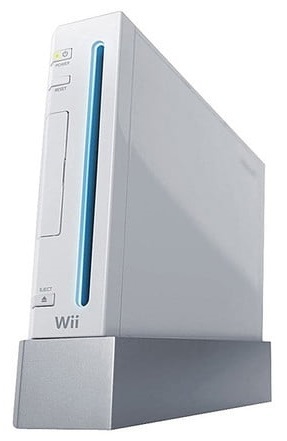 Always be on the hunt for superb design and execution, as seen with the Wii. It can inspire you to create great documentation. This entry was posted in entertainment, simplicity by Andrew Brooke. Bookmark the permalink.